April 11, 2017 – After consultation and research reports published earlier this year by Canadian Heritage and Canada Council for the Arts, CAPACOA and Strategic Moves are now thrilled to release their own assessment of the digital question from the perspective of performing arts presentation. Live performing arts organizations have long prided themselves on providing an important way for individuals and communities to connect, be entertained and have important conversations. Yet audience expectations have been changing rapidly, and place-independent access to information and entertainment has become common place. The urgency to understand how digital innovation in the performing arts will affect Canada’s performing arts presenting eco-system lies at the heart of this landmark report released today, Digitizing the Performing Arts: An Assessment of Opportunities, Issues and Challenges. Economic dynamic of live performing arts presentation today. Technology trends from backbone technologies and standards like blockchain and semantic web to augmented and virtual reality and an evolution toward a holographic world. The continuum of digital opportunities in the performing arts that includes examples of innovative Canadian digital experiments. Lessons learned from other sectors changed by digital competitors or digital alternatives. The question at the core of this work is who will be the digital intermediaries for the performing arts and whether performing arts presenters can carve out a space that transfers and expands their expertise to these new digital spaces in a way that supports and benefits the entire performing arts eco-system. In Digitizing the Performing Arts the authors outline paths forward for the performing arts presenting eco-system and emphasize the need for new collaborations, partnerships, digital knowledge and capabilities within the arts presenting field. In short, this assessment provides a springboard for new conversations and digital capacity – and skill-building – in the presenting field. The Digital Innovation Council comprises people with experience in presenting organizations, performing arts companies and suppliers to the sector. It is co-chaired by Inga Petri, president of Strategic Moves and Frédéric Julien, Director of Research and Development of CAPACOA. As we move beyond the first phase of this work (assessment), we envision that the Digital Innovation Council become the go-to place for strategic exploration and foresight about performing arts presenters’ role in an emerging digital ecosystem for the performing arts. Strategic Moves, founded by Inga Petri in 2007, is an independent consultancy that operates at the intersection of research, strategy and marketing. 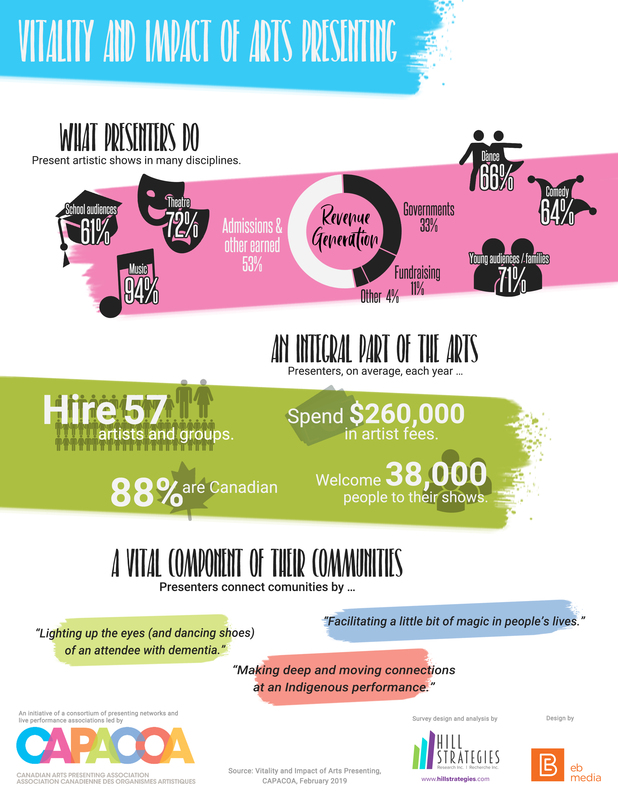 It is nationally recognized for the landmark study on The Value of Presenting: A Study of Performing Arts Presentation in Canada (©2013) and for providing strategic insight, championing contemporary marketing practices, and delivering practical training in the arts sector. Strategic Moves has offices in Whitehorse, Yukon and Ottawa, Ontario. This report has been made possible with financial support by the Government of Canada.